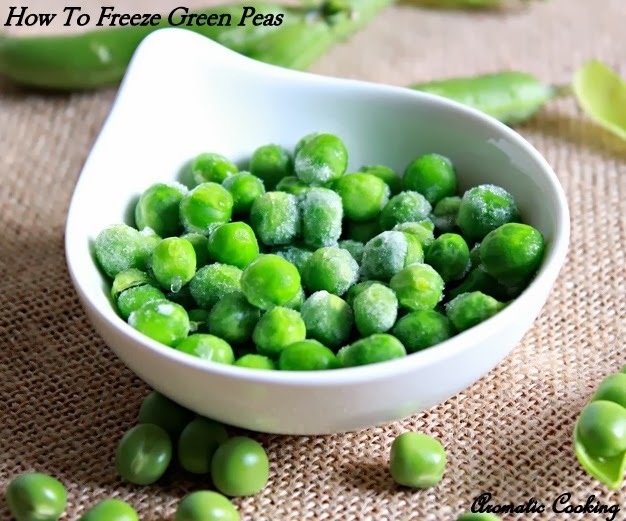 My freezer is always stocked up with green peas, whenever fresh peas are available, I get them and freeze them and when fresh peas are not in season, there is always store bought frozen peas. When I buy fresh ones, usually, I shell them, wash and freeze the peas as such and mostly use them up within a week or two. This time I got a lot and I wanted to freeze it in the proper way, so that it would last longer. 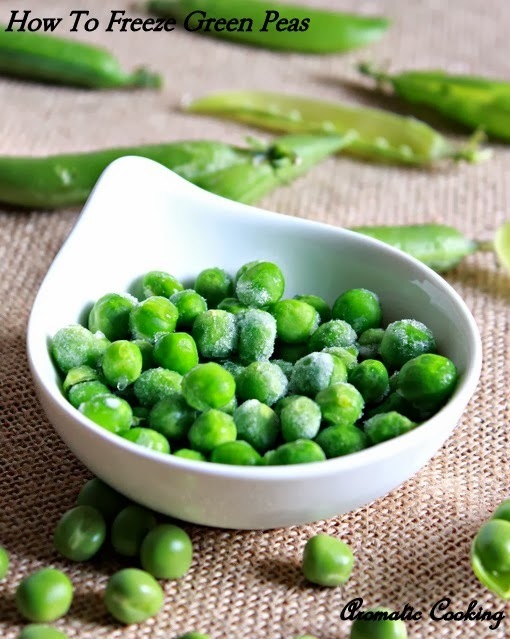 It's a very simple method, if you have shelled the pea pods, the rest takes very little time..
Wash the shelled peas, boil some water and add the peas. 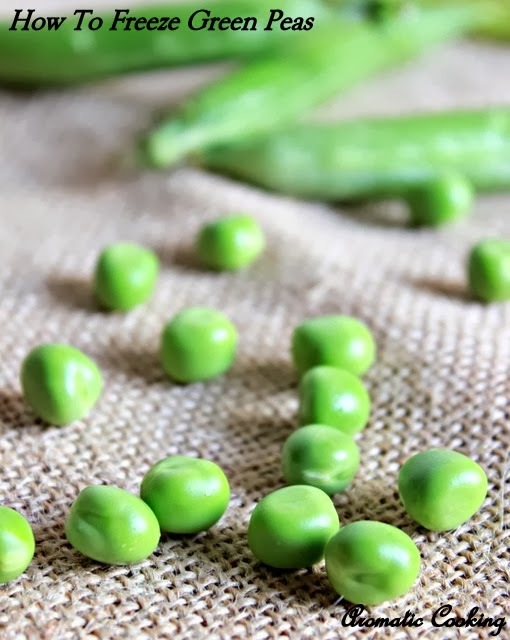 Wait for 2 minutes, you'll see the peas floating to the top, then switch off. 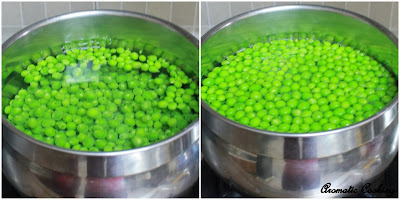 Immediately drain the peas, add them to a bowl of ice cold water ( this stops the cooking process) and leave it for 2 minutes. 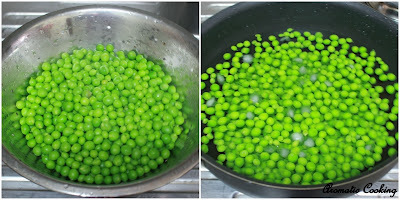 Drain the peas, pat dry and freeze it. 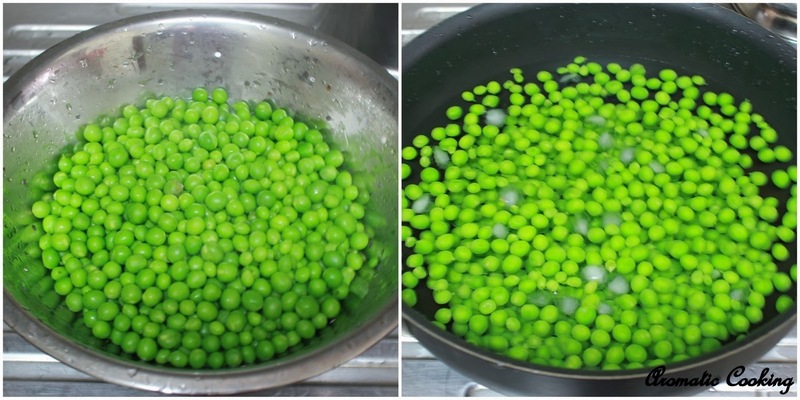 The time the peas stay in the boiling water and the time they are in the cold water is same, only 2 minutes. 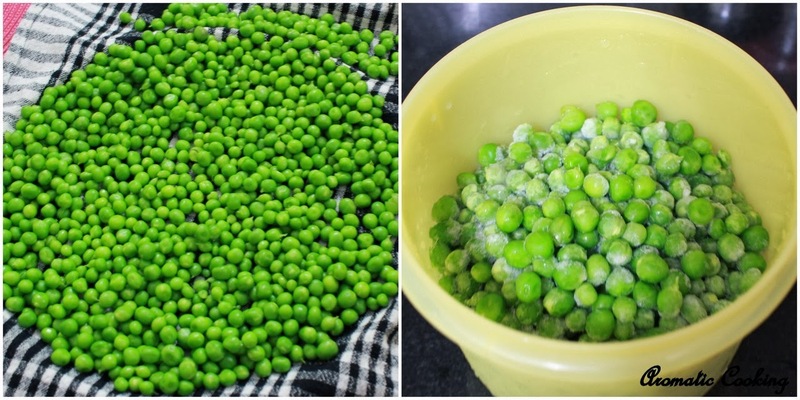 If the freezer is working continously ( without any power cuts ) then the peas should be good for at least 2 to 3 months, they say it'll stay fresh even for a year, but I have not kept it so long. Thanks for that tips its really help me with my kitchen. 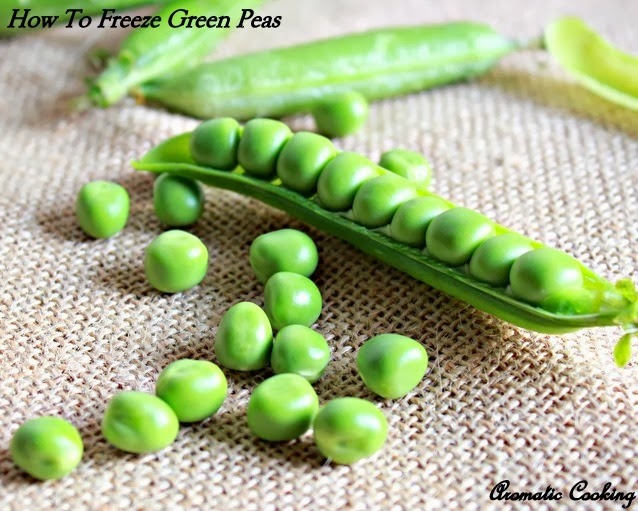 If you are looking for more tips you can visit us at private chef in austin texas. Very useful post.. Beautiful clicks! !